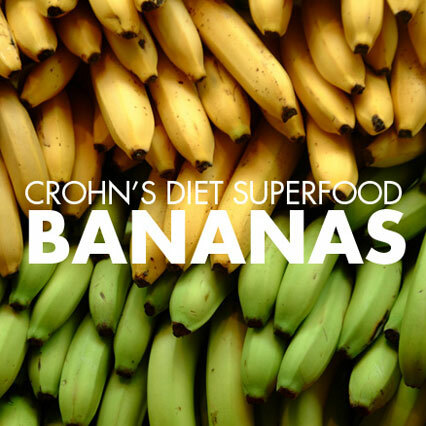 Bananas are a Crohn’s patients best friend when we’re feeling weak, shaky and dehydrated after numerous trips to the bathroom. Immediately after eating one I gain energy and balance, like having just eaten some kind of superfood. They go down smooth and without much effort — and feel so natural to hold and eat. Time for a banana! I just ate 2 bananas yesterday and they were excellent! Not green at all, a solid yellow, but starting to develop spots. The more spots the easier to digest for your stomach.